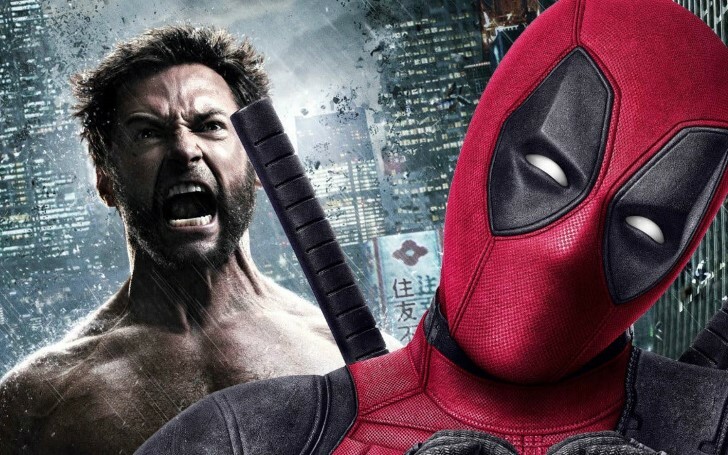 Wade Wilson is still not done with Logan even after he long said goodbye to his arch nemesis; see how Ryan Reynold is still keeping the cloud feud with the former Wolverine star, Hugh Jackman. Looks like Ryan Reynolds is among the actors who just can’t help himself to act upon his on-screen character’s aftereffect. Known for the portrayal of a rather disreputable superhero Deadpool, Ryan Reynold these days is sprinkling himself over the social media with more of his quirky yet hilarious confrontations with some other names from the Hollywood. Be it either mocking the wolverine at the end credits or making a gag about the voice of the British soccer star David Beckham, Reynold doesn’t seem to let go of his foul-mouthed alter ego anytime soon. And this time Reynold took it even further. The recent made-for-media feud between Ryan Reynolds' Deadpool and the actor formerly known as Wolverine continues to outburst as Reynolds’ official Twitter savagely trolled the Australian hunk, Hugh Jackman. Deadpool was first adapted for the big screen by Reynolds in X-Men Origins: Wolverine, and despite the negative reviews received by the film, Reynolds returned to the role for the more successful reboot and its ensuing sequel. The character of Wolverine has been a mark of the X-Men universe since the very beginning. Jackman played the rugged, claw-wielding mutant for the record eleven times with all that cameos and the central role, ultimately concluding his superhero typecast with 2017’s Logan. This last James Mangold’s featurette showcasing the comic’s Black Dragon served as a fitting eulogy and emotional adieu for the savage hero. With that, the upcoming summer release from the 20th FOX, Dark Phoenix will be the first clodpole X-Men movie to not feature Wolverine. And so came the Jack Wade T. Wilson, courtesy of Deadpool, commemorating that legacy in somewhat hilarious fashion the uncouth costumed antihero would be proud of. Following the hype that is the 10 Year Challenge meme, the official Twitter account for the Deadpool Movie boasted a picture from X-Men Origins: Wolverine, which showed Logan in all his action-paced glory as he claws out - from an explosion. As for the bully victim, Hugh Jackman is yet to respond to or even acknowledge the post. That said, the actor will no doubt take it in the jest it was betrothed with, however, it isn’t that the post is to go without the similar backlash from the Jackman himself. In the meantime, the Twitter page had still some more to axe. Rather than looking back, they replied forward to the original post by targeting the character Colossus. In it, they fired an image of Reynolds as seen in the Deadpool movies alongside their forecast for how he might look ten years time, in 2029. The image on the right is corroded trash can perforated with bullet-holes. Although Jackman has consoled his fans stating that he is open to playing another superhero, yet he has no still no intention of wielding the claws again. Thanks, Jerry Seinfeld for ruining the X-men!!! That, however, hasn't stopped Reynolds, and others behind Deadpool, from trying to talk him out of it, as he is continuously drolling jabs at the Australian star. As well as blatantly mocking the character within the Deadpool movies themselves - including Wade wearing a mask of Jackman's face and having a music box interpreting Wolverine's death - Reynolds humorously called Jackman "selfish" for cutting out from a team-up movie. Jackman might have had it all and eventually come around one day. But with the X-Men set to fold into the MCU, most importantly with a rebooted Wolverine, the odds that the fans (or Reynolds) ever getting the joint Wolverine and Deadpool are slipping out more rapidly. And as for the time being fans will just have to continue enjoying the aggressiveness of whimsical animosity drama between the actors themselves in real life.